The T-shirt boat came in today so you can now get Skate Louis shirts at Devil City, No Coast, Infinity and soon Future Sk8. You can also pick up one of the few remaining Bad Brains 1982 Mississippi Nights flyer shirts at Devil City. There are two new shops in the Skate Louis metro area. First is Future Sk8 in Bridgeton next to the old site of the long gone Earth Surf skate park on St. Charles Rock Rd. 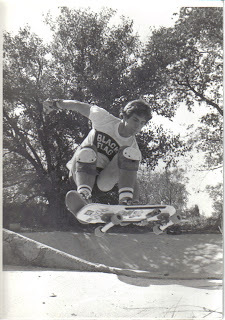 Don Early has been involved in skating for over 30 years. He opened the original shop around 1986 and has now re-opened back in April. Next up is No Coast at Tower Grove and Manchester in the city. Bryan is the president of the non profit, KHVT that supports the Kingshighway skate park and is working to bring more parks to the city of St. Louis. You can find the link to both shops on the right hand side of this blog. Both shops will have new batches of Skate Louis shirts as soon as I get them from the printer. Also, they will be available at Infinity in South County as always and a new outlet will be Devil City on Delmar in the Loop. I was talking to someone about the Earth Surf park in Bridgeton today which made me think to post the video that Paul Graf made from some super 8 film and photos that he had. 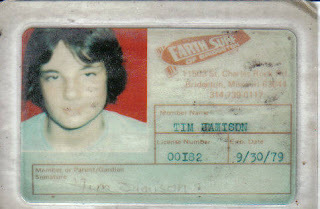 I've also added a photo of my friend Chris Roddick from 1982 along with my ID card. I met a lot if not most of the people I know from back then at this park. I met Glen Stallings, John Harms, Don Early and on and on skating there after it had been closed down. It was only open a few short years and I probably skated there more after it closed down than when it was open just because I had more access to transportation than I did at 14 when it opened. I tried to interview the last owner but he wasn't interested in talking. Although I did have a brief conversation with him anyway and he told me that he was hoping to put a building up to keep it open year round but he couldn't get the financing what with interest rates being around 20% at the time. At that point he had no choice but to close. 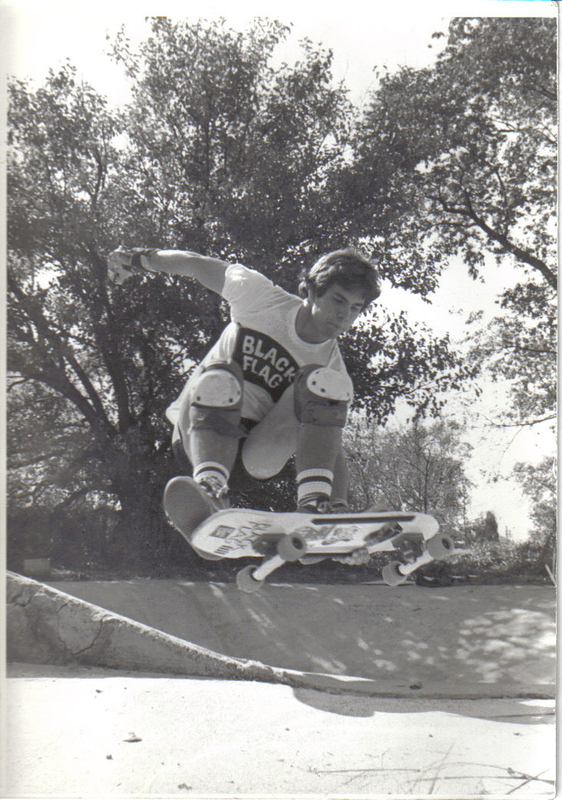 It was skated up until it was bulldozed in March of 1983. This is a piece of the park I picked up the day it was bulldozed. A bit of video from the St. Charles Park, Jeff Rasp and Scott Laird in the bowl.